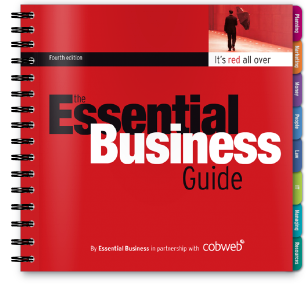 From cover to cover, the award-winning Essential Business Guide is packed with practical business information, making it the perfect reference manual for your clients (or you!) to keep on the desk and refer to time and again. Each page in the Guide is clearly written and easy to follow. It assumes no prior knowledge of business or business terms, so it’s an ideal reference guide whether your client is just starting out, or has been in business for many years. Plan for success – how to decide where to take a business and making sure you get there. 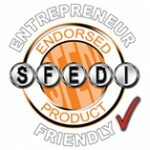 Marketing and sales – making the right kind of sales and building on successes. Money talk – from cash flow to capital, how to make a profit and control finances. People power – how to hire the right people, train them and keep them happy. Keeping it legal – understanding the main legal issues a business owner will face. IT matters – learn from the experts how to make technology an asset, with IT at the heart of the business. Managing your business – good practice and tried-and-tested solutions for day-to-day efficiency. Resources for your business – a round-up of organisations, books and websites to help support your client in his or her business. Each section contains expert guidance, jargon-busters and signposting to further useful information and practical support. No matter where a business is in its lifespan, as it grows The Essential Business Guide supports the reader all the way — from small business start-up to mature business. We’ve included eight case studies to show how it’s done, and how successful business people have negotiated the ups and downs. In 2007, The Essential Business Guide won the coveted Plain English Award (and is still the only business book ever to win it). It has also been awarded Business Book of the Year and an honorary endorsement from the Small Firms Enterprise Development Initiative (SFEDI).